Today I turn 60 years old. Today I also wore my fancy compression pants inside out for my run. I hope this is not a sign of things to come. I do know that too much sugar and refined carbs give a person brain fog so I will avoid them like the plague. The latest research is showing that Alzheimers and dementia is linked to our Western way of stuffing ourselves with refined carbs – something we need to remember when cakes, puddings, biscuits etc beckon. Anyway Coach, I digress. Here is my report for this last week. I’m very proud of pushing both my treadmill workouts into the red (14 points on Tuesday and 10 points today – thank you Strava). 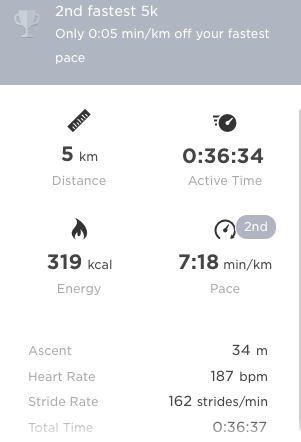 I was a bit of a woes this morning and broke my 5 minute marathon pace intervals down into more manageable chunks – 2 minutes fast, 30 seconds slow x 2, four times – but I promise to push harder next week. My long slow run this last week was 12km and I did it on Friday on tired legs. I battled. I did discover something though – I think the cause of my sore lower back is bad posture. 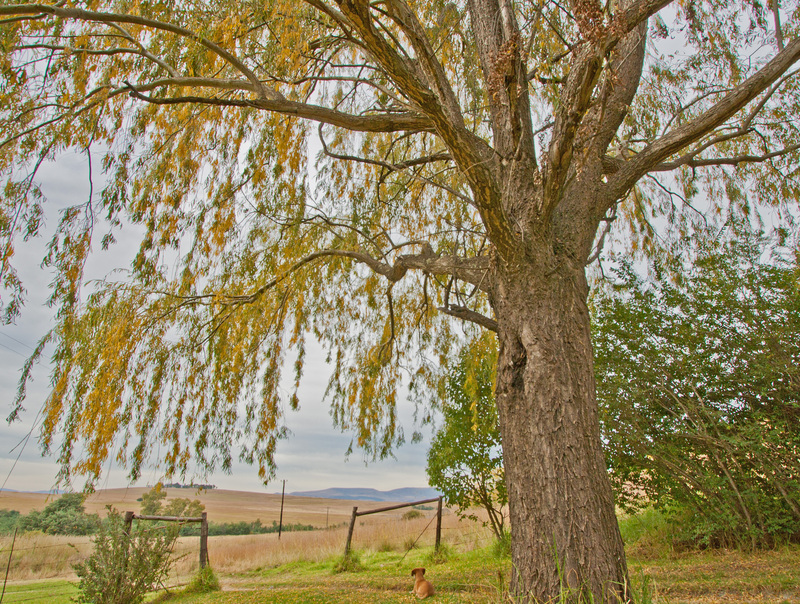 When I’m tired I lean forward from my hips – as soon as I straighten up the back feels better – something to practise on my 2 x 12km this coming weekend. I will hit the hilly trails. I will be brave and I won’t cheat! 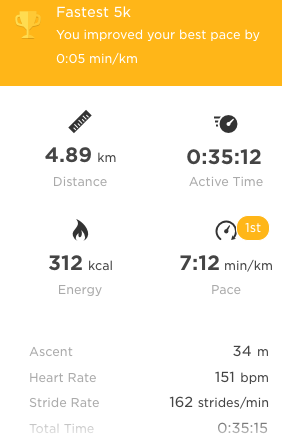 This entry was posted in running and tagged speed work, strava running, treadmill on June 14, 2018 by lowlyj. We don’t play in East Griqualand. We’re tough. This morning in minus three degrees we did not one but two 5km time trials. The second one was the best one – probably because I had regained contact with my feet. And I just love the way my TomTom encourages me with it’s little messages. A lot of work still needs to be done – that 7:12 minutes per kay needs to fall to 6:35 and then 6:00. 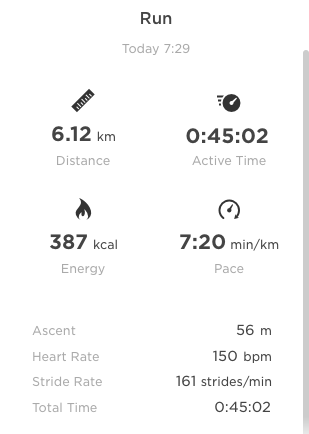 Oh my soul, this speed thing is hard…..in my next life I want to be a skinny Kenyan or Ethiopian man who blasts through a marathon in under three hours. Barefoot. This entry was posted in running and tagged running, speed work on June 24, 2017 by lowlyj. The first screenshot is my Spar Ladies Race. Not quite what Coach Mo prescribed. The first 6 kays were great – I was bowling along at 6:15 minutes per kay which IS what he prescribed but then suddenly I lost focus near a water table, stepped wrong and TWANG went a muscle in my glute/hip. The following 4 kays were much slower and a bit painful. Anyway, the medical peeps always say ice an injury so this morning I took my glute/hip muscle for a whirl in minus 5 degrees. And if that is not icing an injury then I don’t know……It didn’t really work – shock, horror, what are these people talking about? Sorry Coach Mo – my speed work has come to an abrupt halt. What I did manage though is 6 kays without walking once (including the dreaded PawPaw Hill) and the average pace wasn’t that bad for an injured tortoise! This entry was posted in running and tagged icing an injury, running, speed work on June 16, 2017 by lowlyj. I hate to admit it because I find it excrutiatingly hard to do, but speed work is where the magic happens. I’m into the third month of my new program (Mo Van Rensburg of Soul Running) and I’m starting to feel the difference. I don’t always hit the right paces (it’s extra hard on the dirt road) but I’m finding it a little bit easier every time I go out. Mo’s approach to training is more specific intensity and less volume. His workouts are very varied – I always look forward to looking up the following week! But the whole point of this blog post is why is the magic in the speed work? I don’t know but what I do know is that when I went out for my 1:45 easy yesterday, after a hectic week of workouts, it was just that – easy! What a pleasure. 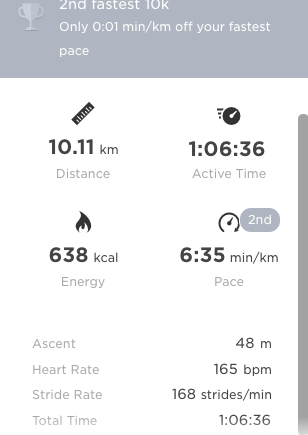 So now, in order to have fabulous, relaxed long runs, I need to beat down that little devil that sits on my shoulder and whispers “have a little walk” and “it doesn’t matter if you go a bit slower” and really give that speed work my all! And, because I just cannot have a post without a picture, here is Danger Potholes the Sausage Dog waiting for her mad humans to finish their long run! This entry was posted in Uncategorized and tagged running, speed work on May 18, 2015 by lowlyj.